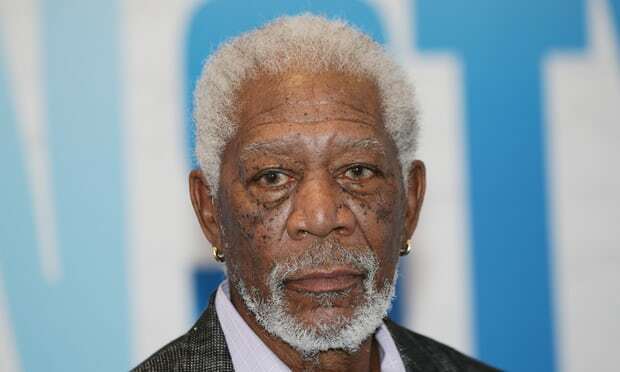 (Trinidad Guardian) Morgan Freeman has been accused of sexual and verbal harassment by eight different women. According to CNN, the women, who say Freeman subjected them to inappropriate remarks about their bodies, allege that he harassed them on the set of his films, at his production company Revelations Entertainment and at press junkets. One woman, who in the summer of 2015 worked as a production assistant on the set of the comedy Going in Style, said she experienced months of harassment, claiming the actor touched her inappropriately and frequently commented on her figure and clothing. On one occasion, she says, Freeman “kept trying to lift up my skirt and asking if I was wearing underwear”. Alan Arkin, a co-star on the film, reportedly told Freeman to stop. “Morgan got freaked out and didn’t know what to say,” the accuser, who chose to remain anonymous, added. Another woman, who was part of the production staff on the 2012 heist thriller Now You See Me, alleges that Freeman harassed her and an assistant by make crude comments about their bodies. “We knew that if he was coming by … not to wear any top that would show our breasts, not to wear anything that would show our bottoms, meaning not wearing clothes that [were] fitted,” she said. Other women said that they were victims of Freeman’s misconduct at the actors production company Revelations Entertainment, which he founded in 1996 with business partner Lori McCreary. They described a “toxic” workplace atmosphere, with six former staffers claiming they witnessed Freeman’s behavior firsthand. A former manager at the company said Freeman would “come over to my desk to say hi and he’d just stand there and stare at me. He would stare at my breasts.” After another incident, the woman said she “stopped wearing a skirt around the office when he was there”. A male staffer characterized Freeman as a “creepy uncle”, recalling an instance in which Freeman massaged an intern’s shoulder. “One time I witnessed Morgan walk up to an intern and start massaging her,” he said. “The intern got visibly red and wiggled out of his grasp, it was awkward.” According to five sources who spoke to CNN, there was no human resources department at Revelations. Additionally, the women whom Freeman allegedly harassed on film sets said they didn’t report his behavior at the time in fear of losing their jobs. The allegations against Freeman, an Academy award-winning actor known for his performances in Driving Miss Daisy, The Shawshank Redemption and Million Dollar Baby, come in the wake of Hollywood’s #MeToo movement. Since the allegations, greater Vancouver’s transportation system, TransLink, has removed Freeman’s voice from a Visa ad campaign that was running as part of their announcements. Actors union SAG-AFTRA is also investigating the allegations. Freeman was awarded a life achievement award last year. “These are compelling and devastating allegations which are absolutely contrary to all the steps that we are taking to insure a safe work environment for the professionals in this industry,” a spokesperson said.